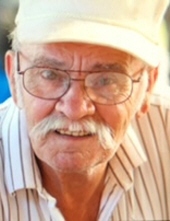 Paul Leroy Robinson, retired City of Yale employee, passed away Saturday evening, March 16, 2019 in Pawnee, Oklahoma at the age of 79 years. The son of the late Edgar Robinson and Brooxie Dudley Robinson, Paul was born in Niangua, Missouri. As a small child, his family moved to the Yale community where was raised and educated. He was united in marriage to Alva Jeanie Simnitt on August 5, 1968 and to this union three children, Anita, Billy and Lisa were born. Paul worked for the City of Yale for over 25 years, retiring in 1994. He loved the outdoors, tinkering with things, fishing, having fun with his family, playing cards and making everyone laugh and have a good time. He is survived by his wife Jeanie Robinson of the home; one son Billy Ray Robinson of Yale; one sister Velma Baird of Yale; one brother James Robinson of Yale; five grandchildren, Misty Hall, Dustin Brown, Jeffrey Harvey, Kolton Harvey and Andrew Robinson; 4 great-grandchildren; several nieces, nephews and other relatives and friends. In addition to his parents, he was preceded in death by two daughters, Anita Brown and Lisa Burden; four brothers, Anderson Robinson, Frank Robinson, Tommy Robinson and John Robison, and one sister Theda Mae Robinson. A celebration of his life will be held Saturday, March 23, 2019 at 2:00 p.m. in the Fellowship Baptist Church at Yale with Pastor Mike Dershem officiating. To send flowers or a remembrance gift to the family of Paul Leroy Robinson, please visit our Tribute Store. "Email Address" would like to share the life celebration of Paul Leroy Robinson. Click on the "link" to go to share a favorite memory or leave a condolence message for the family.